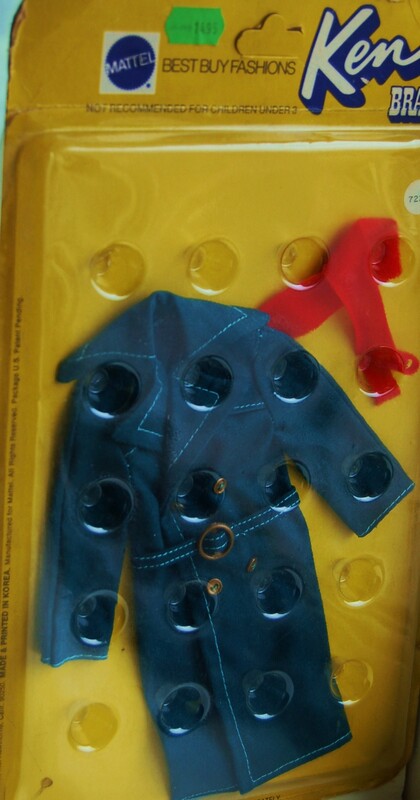 Barbie outfit 1970 #1766 Francie Wild Bunch NRFP. Barbie outfit 1971 #3439 Wild Things NRFP. 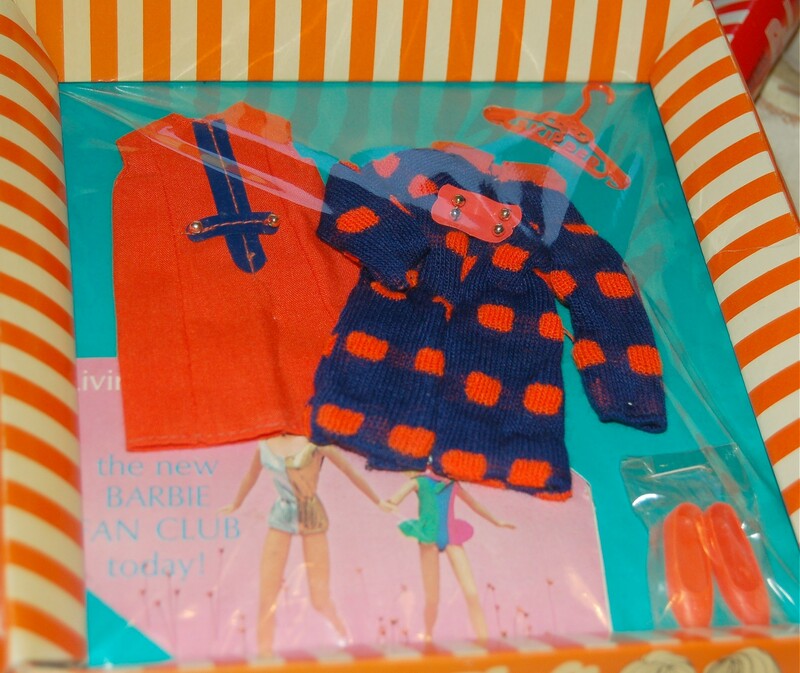 Barbie outfit 1974 #8180 Mix n Match European Exclusive, blue shorts. Barbie outfit 1974 #8180 Mix n Match European Exclusive, top in Francie print. 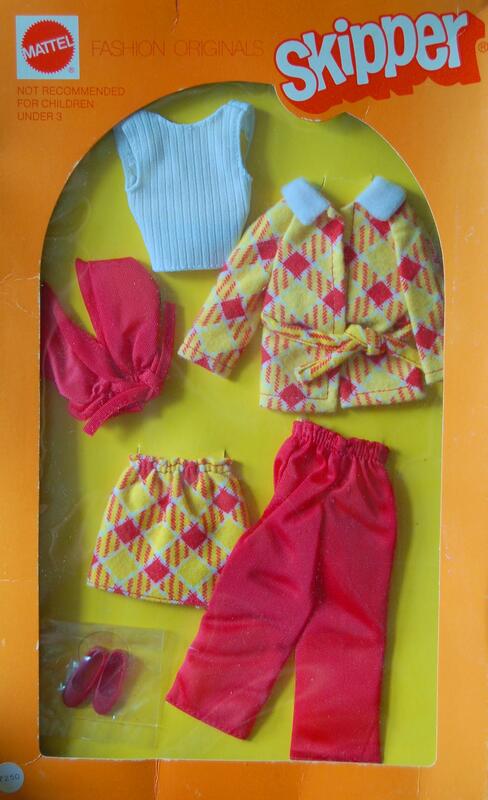 Barbie outfit 1976 #9424 Chic in Hosen. European Exlusive NRFP, VHTF. Barbie outfit 1976 #9818 South o the Border NRFP. Card has wear. Barbie outfit 1976 Ballerina #9327 Snowflake NRFP, card has wear. Barbie outfit 1978 #2304 Fabulous Gown for Nights on the Town! get ups n go, no box, outfit attached to original card. Barbie outfit 1978 #2223 best buy pink dress NRFP, package has wear. Barbie outfit 1980 #1368 My First Barbie Fashions NRFP. Barbie outfit 1981 #3689 Fashion Collectibles NRFP. Barbie outfit 1982 #7505 Fancy Fashions NRFP. Barbie outfit 1983 #7081 Designer Collection NRFP. 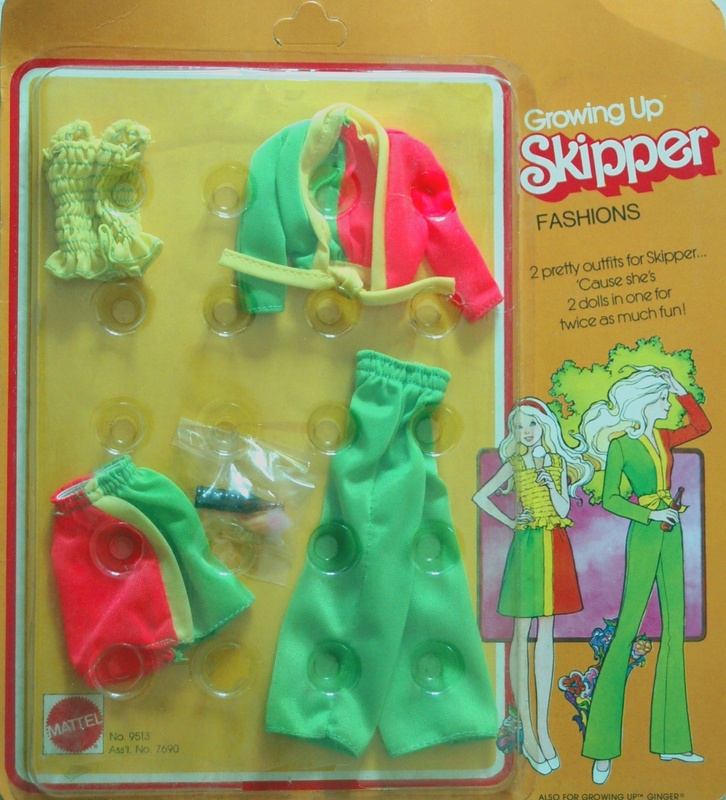 Barbie outfit 1983 #4909 Fashion Extras NRFP. 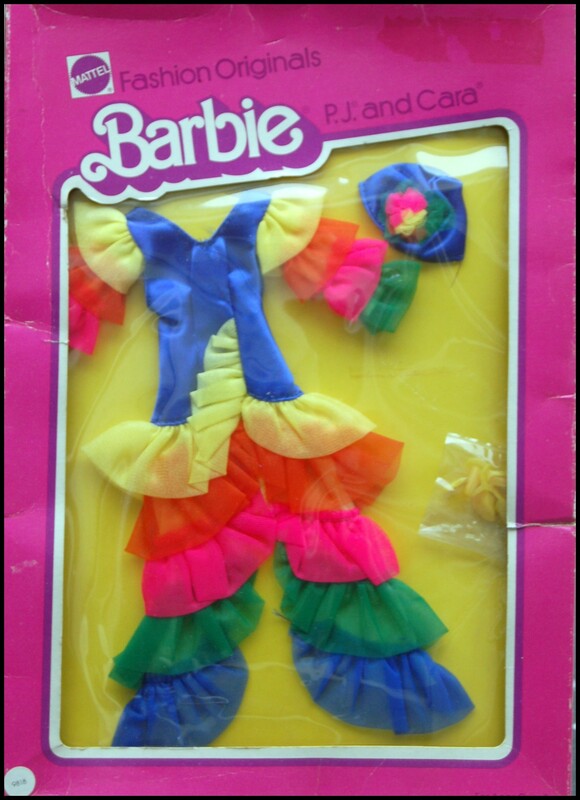 Barbie outfit 1984 #4824 Twice As Nice Double Dazzle NRFP. Barbie outfit 1985 Jewel Secrets Laura, package has wear NRFP. Barbie outfit 1987 #3313 Beverly Hills or Pret a Porter Fashion NRFP. Ken outfit 1969 #1429 Rally Gear NRFP. Ken outift 1974 #7227 NRFP. Ken outfit 1974 #7759 NRFP. 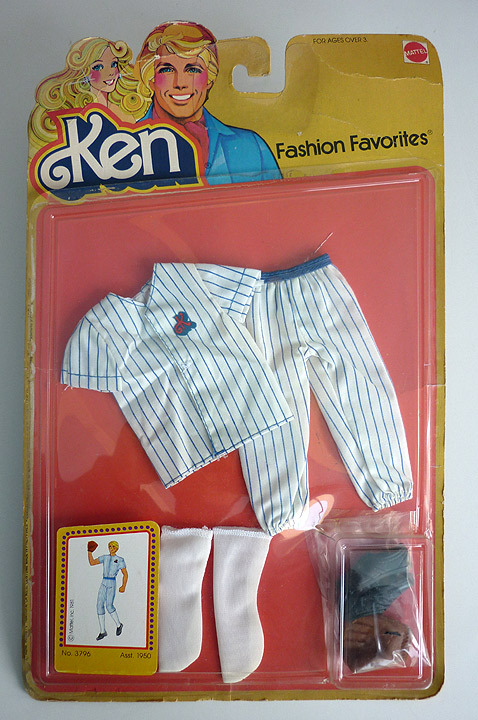 Ken outfit 1980 #3796 Baseball Fashion Favorites NRFP. Ken outfit Twice as Nice #9113 (1984) and #2307 (1985) NRFP. Skipper 1968 #1955 Posy Party NRFP, cellophane damaged. Skipper outfit 1970 #3472 Double Dashers NRFP. Skipper outfit 1975 #7250 Glad Plaids for Coming and Going, European issue Fashion Originals, card opened and damaged, NRFP. Skipper 1976 #9513 Growing Skipper NRFP. Todd outfit 1976 #2191 Big Trip. Package has severe wear, outfit is new, but has been out of the package.